Who on here has a rifle they've had built by Jon? Myself and my buddy both do. Couldn't speak anymore highly of him. Great to hear! He's in the process of doing mine. Seems more than helpful. Super excited to see how it turns out! His look awesome, just never talked to an actual customer though so went based on a friends recommendation from his research. Out of curiosity, what did you guys do? Surgeon, rem varmint contour, manners EH1. 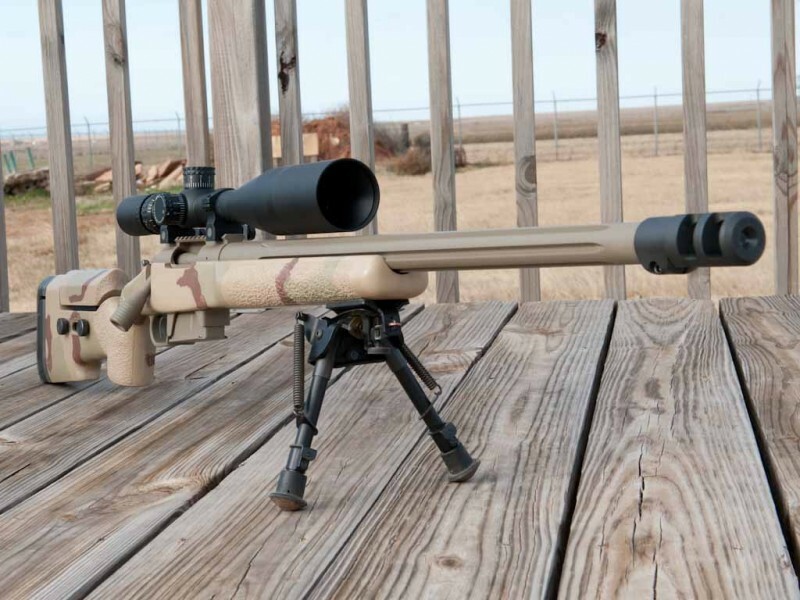 6.5 Creedmoor. Very happy with the results, should have done it sooner. Ive had several and they have ALL been shooters. I've not personally had one built by Jon but have seen several and shot against some. All looked great as and were hammers. Jon built me two almost identical 7MM-08's several years ago. Both turned out great, his attention to detail is as good as it gets, really a nice guy to deal with. You will be pleased in how your rifle turns out !! You will be very happy with Jon's work. He is on my very short list of shops that I do not hesitate to refer customers to. About 5 years ago, I actually had a Beanland rifle in here from an east coast customer (not sure why they didn't send it to him for a rebarrel) and I called Jon to specifically tell him how impressed I was with the surfaces and re-machine of the R700 action once I pulled the barrel. Very good work from his shop. Im glad. These are all very consistent reviews. Haven't ever heard a bad thing about him or his work! Jon built my 6.5 x47 Surgeon that shoot .3 MOA. As others have said, excellent attention to detail. Man, each reply to this makes me even more excited to get all the pieces and parts over to Jon! Can anyone explain the pricing listed on his website? That I dont know. I'd give him a call Monday. He's excellent with answering my questions. I'd consider myself a PITA customer. I like to know everything about it and why. He's always called me and explained everything. He prefers calls over text or email as he can talk and work at the same time. Just my two bits worth on Jon. I first met him at Steel Safari in 2009. Shot with him. Had him build a few rifles since then. I cant add much more than what has been said about his rifle building . Borders on absolute perfection. What impresses me most though, is his qualities as a great person. You couldnt find a more humble, kind, generous person. His integrity is off the charts. I am honored to call him a friend. Me and a buddy have both had guns built by Jon, absolute hammers. We both went 6.5x47L. Jon's only about 20 miles away from me, and one of the best dudes to deal with when putting a gun together. 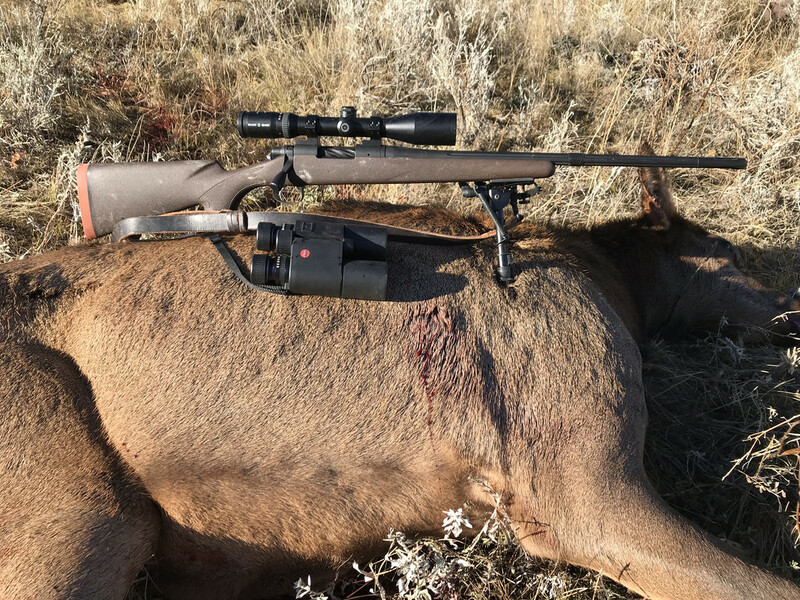 I don't own one, but have shot a buddy's Beanland 308 and I was impressed with the craftsmanship and results downrange. Even if you ignored all the accolades from random people on this site, when @Terry Cross is saying he wouldn't hesitate to send a customer to Beanland and that he called Jon himself to comment on the craftsmanship, I would consider that praise of the highest order. Well this just keeps getting better haha. I hadn't had any doubts, but was curious to hear feedback since I'm new to this forum and this area of firearms. FYI none of this is helping my level of patience! My brother and I both have beanlands. His is a 6.5 CM and mine is a 6.5x47L both on bighorn actions and JAllen chassis. Both have perfect fit and finish, and most importantly both shoot much better than either of us can consistently. It's so nice knowing when you miss or have a bad group it's your technique not the rifle. Like already said, the best part about working with him was the clear and fast communications, never felt rushed, and did an excellent job of explaining the whys and how's. Thank you for the reply! love these reviews. For my own sake and to show Jon some love! He has built 6 rifles for me through the years. They have all been hammers and the work is exceptional. Consistency is the word. He has also stuck to promised build times unlike most of the other famous builders who are popular now. That says a lot for his integrity. And yes, he is a one man shop and is able to give first class customer service as well. I cannot say enough good things about him. Here's one I had done this year. Hes doing another one currently. Quick and dirty load development from prone off of a bipod/bag. I have had this gun out to a mile with consistent hits, not bad for a 6.5. You'll be happy. Really enjoying reading and seeing these results! New member here. Jon built me a 6.5CM last year. It is an absolut hammer. As others have stated, Jon is extremely responsive and the consummate gentleman. I was so impresses with the quality of his work and service and I am having me build another rifle. You will be very please with his work. Have a 338L built by Jon, it’s beautiful! Attention to detail is second to none! Waiting on a few parts to send him for my second rifle, it will be a 6.5x47. From what I have been told and seen Jon’s 6.5’s are lasers! I'm reading all this and it is so impressive to me! Jon and my dad went to high school together. I've know him since I was a little kid. I actually live about a half mile from him now. My brother got into prs a few years ago, and now that I'm financially able to I plan to start as well. Even though I knew how good his work was, I was planning to build my own rifle, but after reading all this I think I'm going to have him do it after all. This is from a 6.5 x47 build Jon did in 2017. 10 shots at 600 yds. Thanks to Oregonmuley, one of them now resides in my house and I can vouch for accuracy and detail! Jon built a 223 Ackley Improved . My delivery was within 6 mo only because the TL# action was back ordered. It shoots 80.5 gr Bergers into .210 groups at 200 yards which is good enough for me! I've had some good rifles, including builds by GAP, and KMW (still have some of these). See avatar........that is a group (5rds) using a "parts" rifle that Jon built for me during the winter of 2010-2011. The ammo was factory Federal 175 MK, at 100yds, shot from bipod about 5 years ago. This is the 6.5 Creedmoor Jon built for me. I get compliments on this rifle all the time. Jon did an exceptionally outstanding job. I started this project knowing nothing about Custom/Precision Rifles. After doing my reasearch on various Gunsmiths, I liked everything I read about Jon. When I talked with Jon about my build and that I'd like the opportunity to do my own research on componets. He allowed me the opportunity to do my own research on Action, Stocks, Bottom Metals, etc. He then provided his input. This is the finished rifle and I could not be more pleased with the work and craftsmanship. It is a Manners Elite T6A Stock in Elite GAP Camo. Another on Jon recently did for me. I have a 338LM that Jon built for me using my parts. I has a Obeymeyer tight bore and so far it has been a shooter. I have parts ready to send to Jon and I'm just waiting for funds to send it out. You could not ask for a nicer guy and better smith!